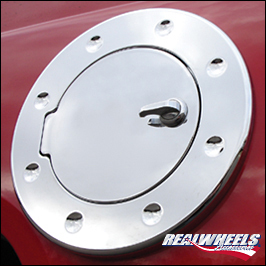 This chromed, billet aluminum fuel door installs securely in minutes, with NO DRILLING into the vehicle’s painted surface. 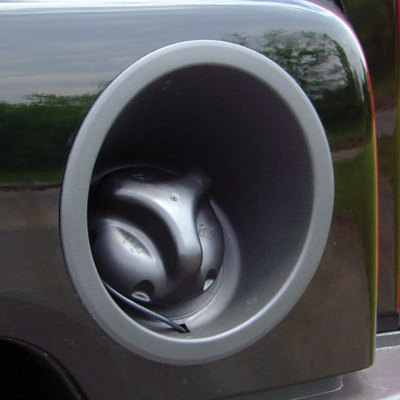 This stylish accessory is designed to completely cover the plastic fuel opening unlike most on the market. It installs in minutes and is available in both a grooved or smooth design, and a powder-coated black or 6-step chrome finish. Rugged finger latch for easy opening and secure closure.